I'm participating in @ireadya's annual celebration of YA literature this week on my social media accounts, Twitter and Instagram. 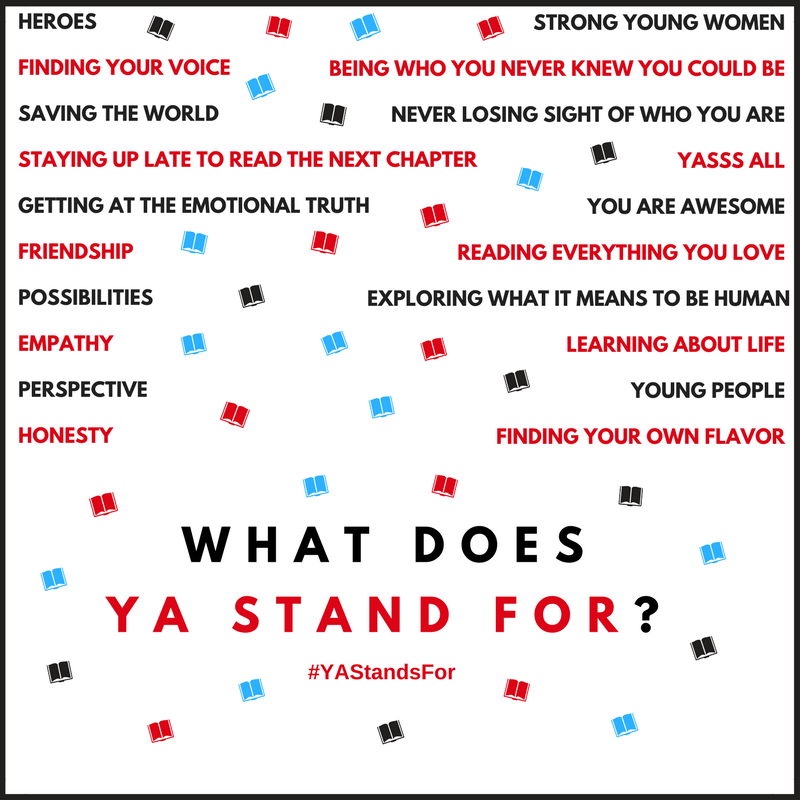 The theme this year is #YAStandsfor and you can also participate by following along with that hashtag. For me, there is something special about YA. I find that YA books generally tend to focus on important growth areas in one's life. So for me, #YASTANDSFOR growth. For being challenged, for learning about the world, life, your body, interests, gifts, and weaknesses. All of this is explored in YA. It also stands for empathy. YA books can comfort, help you understand others, and know you're not alone. They have a really special quality of helping you see the world through the eyes of another. 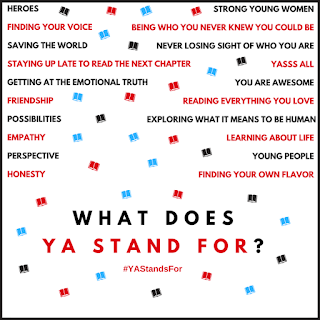 And of course YA stands for fun. The stories are fun and imaginative and there is no limit. Comedy, imagination, drama, you can find it all in YA. I'm looking forward to talking about more specific YA books this week and the ways in which its a great genre. But until then, I'd love to know what #YASTANDSFOR to you!